Unique opportunity to live in much sought out, contemporary designed low-rise across from Lake Eola Park. Fully equipped kitchen with S.S. appliances, granite counter tops , hardwood floors in dining room,and carpet through-our rest of unit. Master and living rooms have floor to ceiling glass windows for spectacular views of park and neighborhood. Walk to urban Publix, numerous restaurants, shopping, Farmers Market, Dr. Phillips, and many venues and events in downtown Orlando. 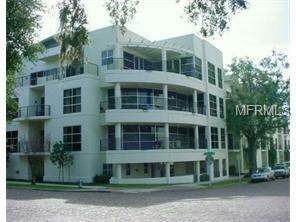 Secured parking.Amenities: Living in the heart of downtown Orlando, Thornton Park!